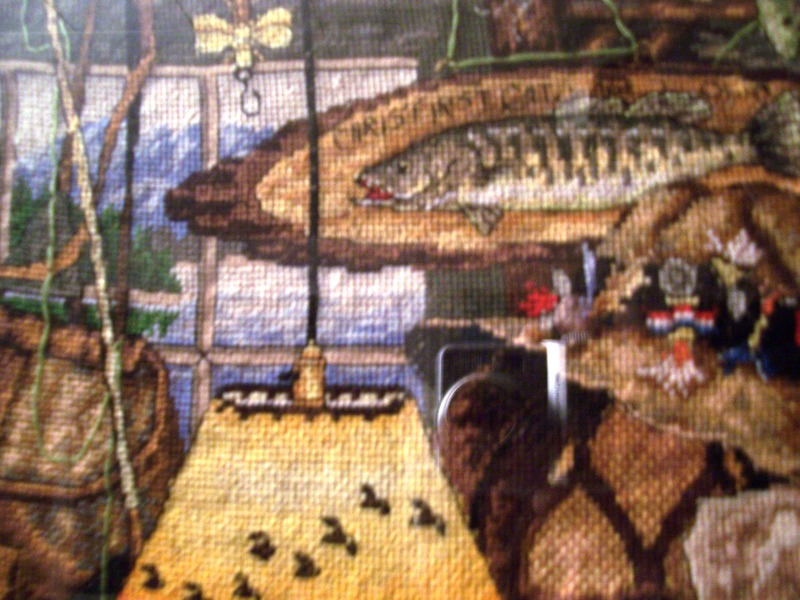 I completed this intricate piece of needlework in May 2007, as a Mother’s Day present. I began this project in September of the previous year and worked on it 4-6 hours daily. 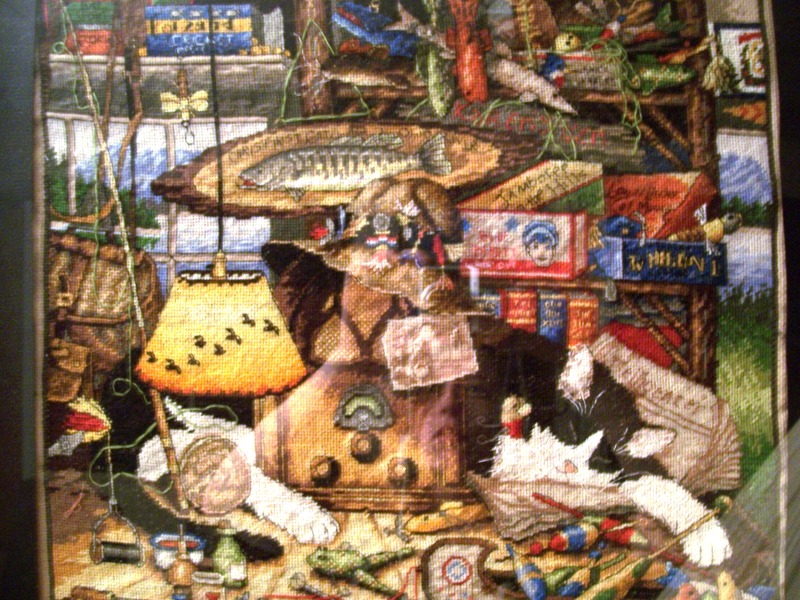 This work is an adaptation of the pattern “Max in the Adirondacks” by Charles Wysocki (Dimensions: Gold Collection), which originally depicts a tabby sleeping peacefully amongst the clutter of a cabin decor. The ambiance of the scene reminds me of my youth and childhood homes growing up in the foothills of West Virginia. Ergo, I wanted this work to speak to some of my childhood memories of the Ohio Valley. As you begin to look closely at the scene, you’ll notice the home-town touches any Wheeling resident would appreciate: the Intelligencer newspaper, a Jamboree in the Hills box, the fish caught in the Ohio River (just to name a few). You’ll also note the top right corner features a glimmer of the West Virginia state flag. 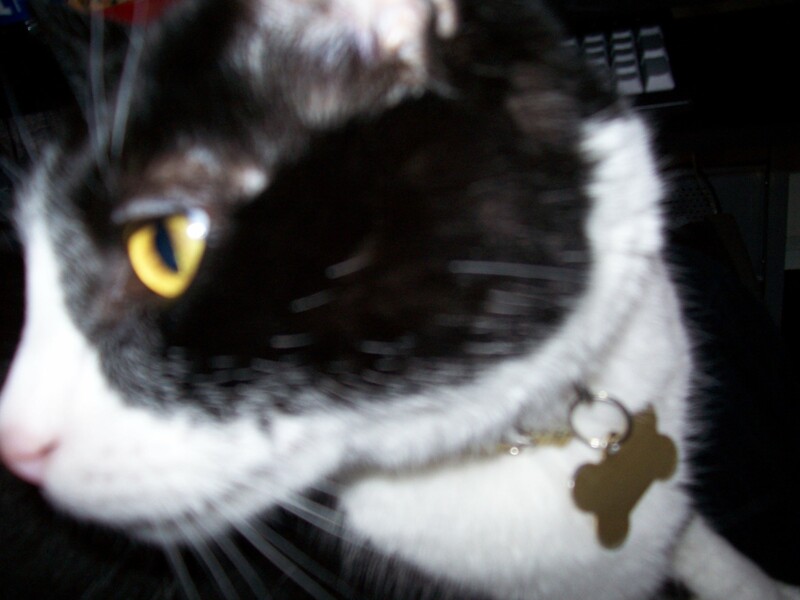 And lastly, but most profoundly, I adapted the pattern to that of a tuxedo-colored cat (as opposed to the original tabby). The feline depicted is a near-perfect representation of my own cat, Sparkplug; I tried as best as possible to capture his coloration in great detail. This work measures approximately 12 by 14 inches, and currently resides framed in my living room in Wheeling, WV. This gallery site is currently under serious construction. Please check back soon for more from the Amigami Showcase!